We were invited to a friend's house for tea one weekend. I wanted to bring something along and was contemplating which cake, cookie or muffins to make. It occurred to me these choices were somewhat quite unexciting. Hence, I decided to make something local instead. 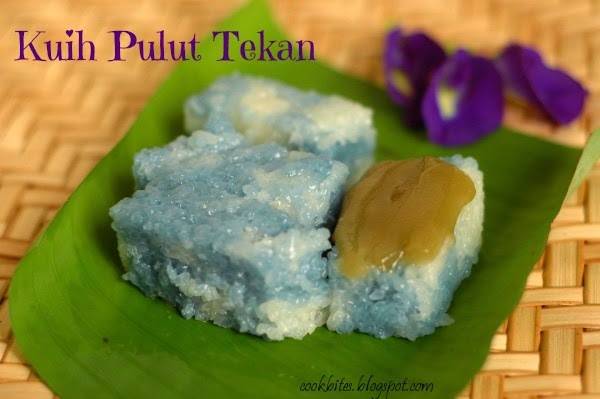 So I made this bluish nyonya kuih called pulut tekan or pulut tai tai. I do love plucking blue pea flowers (bunga telang) and cooking with them. 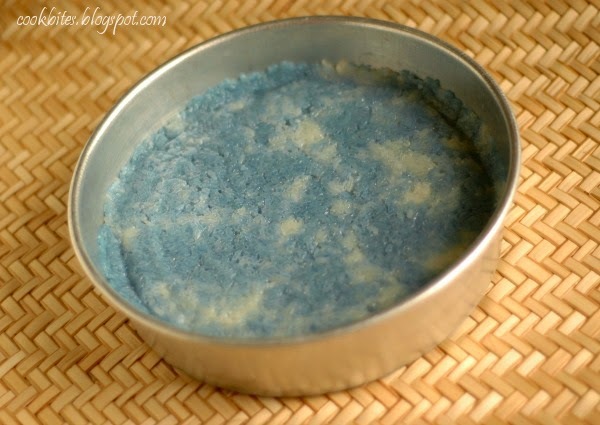 This kuih is actually not that difficult to make, although you do need to plan ahead as there's a huge amount of time taken in soaking, steaming and pressing. 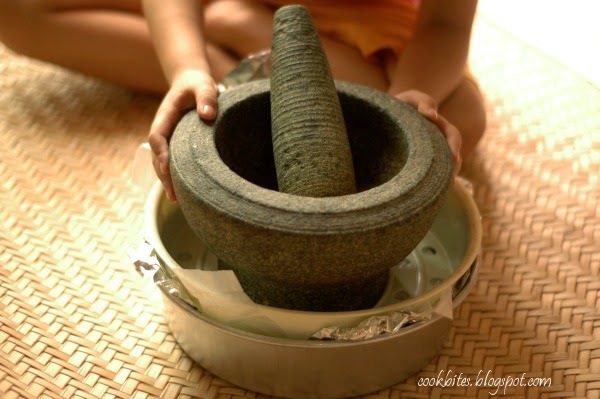 I used the mortar and pestle to press the cooked rice. I left it like this overnight, without refrigeration. This is how the kuih looked like after compression. Use a sharp knife to cut into slices. If you can, make your own kaya to go with it. I didn't have the patience or diligence for it, so I just served with store-bought kaya. 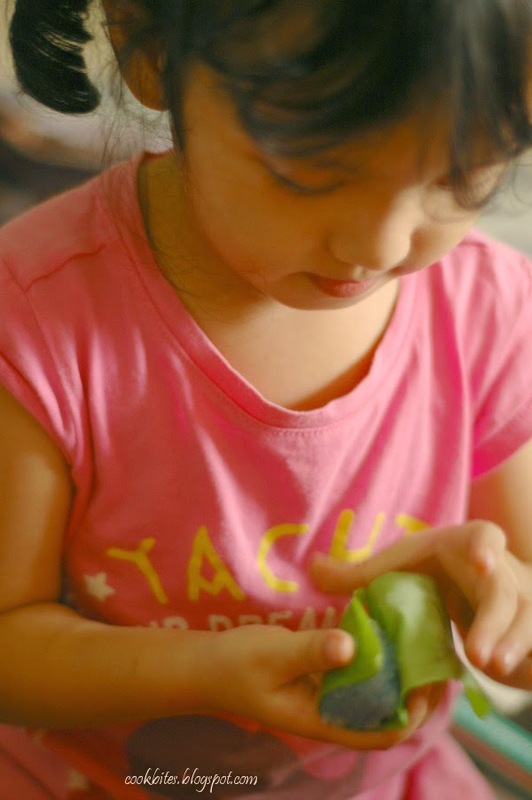 Emma was fully immersed in packing the pulut in banana leaf. She was making her own version of it. 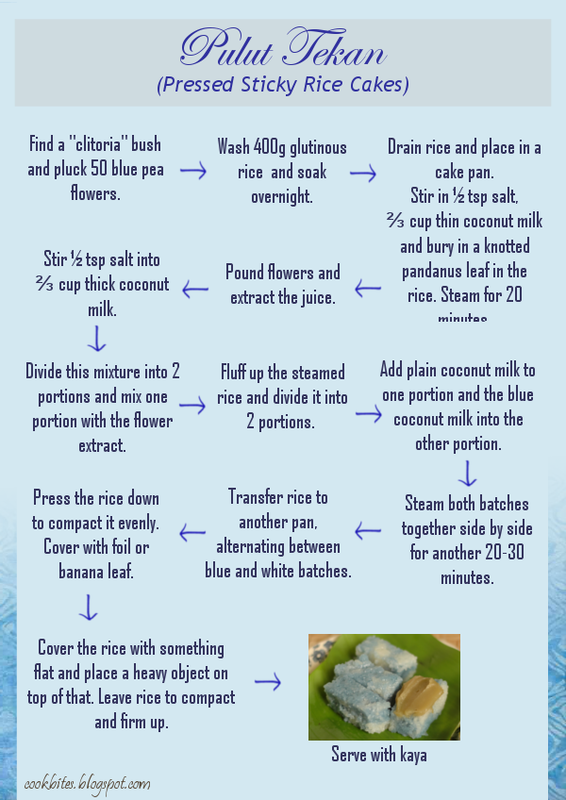 For those of you who would like to try making this kuih, here's the recipe for this delightfully sticky treat. Enjoy!